JPN have 2 wins and 3 losses in their last 5 matches. 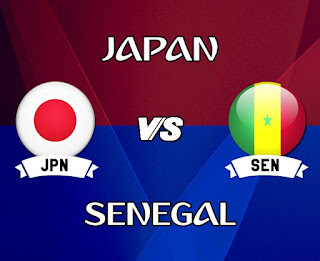 Japan have failed to beat Senegal in each of their three previous matches, drawing one and losing two of those previous encounters. Shinji Okazaki had to resign himself to a late substitute’s role against Colombia. 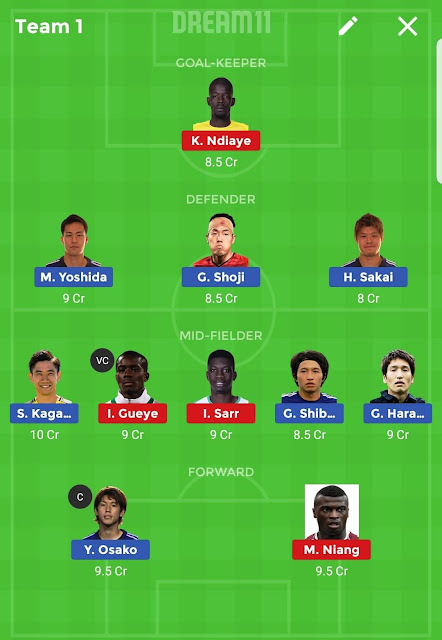 Yuya Osako might retain his place in playing 11 by good performance. SEN have 2 wins, 1 lost and 2 draws in their last 5 matches. Cheikh Kouyate is expected to be on bench in this game. 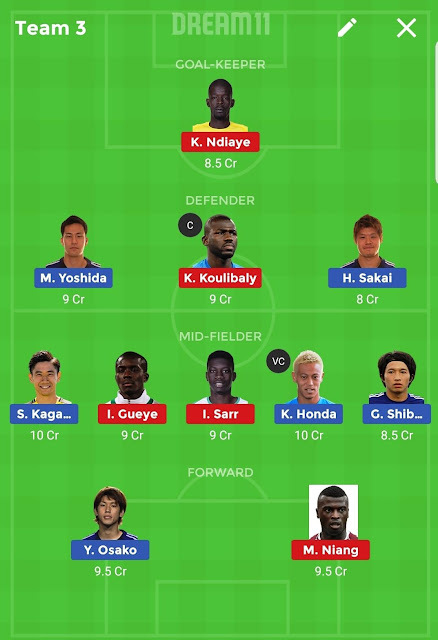 Idrissa Gueye and Alfred N’Diaye lined up in central midfield. 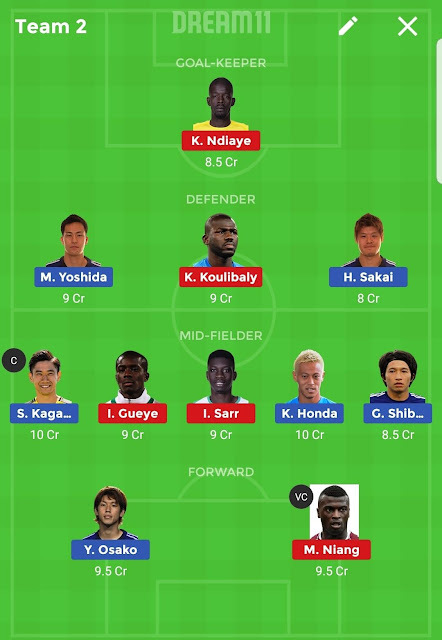 Prefer Khadim N Diaye as GK. After five games without a defeat, Japan have now won their last two games in a row. Senegal have now played four World Cup group stage matches in their history and are unbeaten in all four – two wins and two draws.